Anyone who reads Divorced Girl Smiling will say that Jackie Pilossoph is the eternal optimist. That I always see the positive in coping with divorce and other issues, that my energy is high, my spirit unbreakable, my willingness to give up non-existent, and my belief in true love and fairytale endings genuine. They will also probably roll their eyes and call me nauseating. Then there are my close friends and family who know me well, who will say that the above is true for the most part, but that there are times—there are rare but they happen– when I get really down. I mean really down. To the point where I throw myself a big, huge pity party, feel sorry for myself, play the victim, exude a sense of hopelessness, blame others for my mistakes and cry non-stop for a awhile, or until I just can’t cry anymore. Like a complete hypocrite, I basically act like the people I criticize on my blog so often: the ones who only focus on the negative and fail to see the big picture. So, two days ago, I had a pity party. There are a few things that triggered becoming the woman I preach to tens of thousands of readers daily not to be like. I’m going to start by playing the PMS card. That’s big. I also have some fairly large problems and disappointments of late, but I won’t get into the details. Let’s also throw in the fact that a week ago, I bent down to get something and my back has been killing me ever since, leaving me in pain all day and unable to work out—which that alone will drive anyone who depends on fitness for sanity completely nuts. So, as I always do, I reached out to my sister a couple nights ago, who knows she’s getting the hyperventilating-type cry about once every 4-6 months. Through my tears, I started telling her all of my problems, all my worries, my fears, my disappointments, and the worst—how my impending 50th birthday was sending me over the edge. I’m going into it kicking and screaming. I hate *ucking 50! I hate it! Especially because I feel like I’m 35. My sis offered me some insight that really made sense. She said that the difference between those who are happy and those who are unhappy has nothing to do with the fact that I haven’t had a real vacation since my honeymoon in 2000 (I sobbed as I relayed this fact to her), but rather that happiness is all about perspective—the way you choose to look at things. Back to this in a moment. I allowed my pity party to last through bedtime, and when I woke up in the morning something felt like it had changed. I thought about what my sister said, and I realized how right she was. All I was doing during my pity party was focusing on everything I didn’t have, everything I wish I had, poor choices I’ve made in my life that have resulted in me being where I am today, how every other 50 year old I know has a second home, and that I am an decrepit, old woman, hunch back and all. Why wasn’t I thinking about what I *ucking have?? Let’s start with the basics—a roof over my head, food to eat, warm heat and cool air, clothing, water, etc. Then there’s my health. Is it perfect? At 50, what do you think? No, but, it’s good enough. Then there are the biggest gifts: Two healthy, happy, sweet, adorable children who love me (most of the time), along with a family I wouldn’t change for the world. During my pity party, I did acknowledge these things. I really did, and as low as I can get, I never lose sight of what I have in this regard. Never. However, what I failed to do during the hysteria was to accentuate the extras, the bonuses, the special gifts that give my life meaning, enjoyment and fulfillment. Right now, I might have fears and worries and stress, but I am in a really, really happy romantic relationship. This is no small thing, trust me. I am seriously kicking myself, wondering when I’m going to wake up from this dream that I feel so privileged to be having. I don’t have a second home, but I truly adore my day to day lifestyle. I have the luxury of doing a job I have immense passion for. I have achieved goals in my life I never thought I was capable of achieving. Self-worth and pride are better than any material item I could buy for myself. I haven’t taken a vacation in 15 years but I would say I find joy every single day of my life and I’m not just saying that. I smile most of the day everyday. I notice ducks in a lake I pass on a walking trail. I enjoy watching my kids chew their food. My boyfriend’s voice makes me weak in the knees. I eat coconut gelato almost on a daily basis (actually, that has stopped since I gained 5 pounds.) I enjoy laughing at Family Guy. And, I appreciate that first sip of coffee every morning, and the comfort of my pillowcase when my tired head touches it at night. Things like these should always be at the forefront of the mind versus all the problems that will undoubtedly land on our door steps day after day. I think that everyone is entitled to a pity party now and again. I actually think it’s healthy to feel sorry for yourself, to cry, to feel regret, to be angry at yourself for things you did in the past, and to temporarily blame others for your perceived crappy life at the moment. But pity parties need to be limited and short, with realization and a better perspective taking their place. Think of your pity party as a toddler’s temper tantrum. When it’s over, it’s time to do what mommy said and get back to being your sweet, kind, smart and tough self. Handle what you can today as best you can, but the key to being truly happy is making sure you are proud of the way you handled it. Tomorrow will bring both more joys and more problems, that’s just life. We solve problems and then we are dealt new ones. I just found out today about a guy who had his identity stolen. Someone else told me about a guy who has lost 100 pounds and no doctor can figure out why. I also heard about a woman who was walking her dog and fell on her face, shattering several bones. I’ll take my problems any day of the week over these. I’m not proud of my pity parties, and I hope it’s a long time before my next one because they are very depressing, and a good time is not had by anyone. But the reality is, sometimes problems can become exhausting, and we just need a little time to stop being so tough and just grieve. 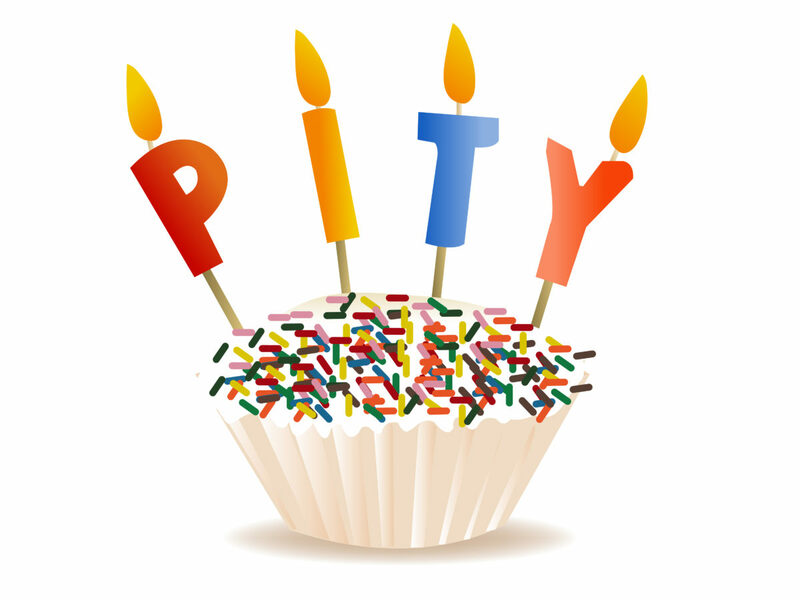 So, if you need to, have your pity party. Just make it short. I too had my own pity party tonight. (50 isn’t too far away for me either.) I identified with your post on so many levels. I have much to be thankful for as well. It has been a tough year with some health issues (nothing horrible – just costly) and my divorce was final just a month ago this week. I’m mostly just tired of feeling sad inside. I try not to project it externally and I always try to smile and laugh my way through things. It’s when you’re home alone (no kids and obviously no husband) and you realize that life isn’t quite what you dreamed it to be… that’s when the sadness creeps in. Oh well. I just hope there is a rainbow out there somewhere. And, I guess I have to be the one who makes it happen. Ugh. Thanks for sharing. Your observations are spot on. You’re right, it’s all a matter of perspective. I read your story and I was envious!. I’m 51 and don’t even have one home let alone a second home. My ex blew all of our money and ran up huge debt and is now taking me to court to get my father’s inheritance (that I received after we separated) to pay that off. I haven’t had a single date since my divorce and feel like giving up altogether. Married friends avoid me ever since my divorce and I have no family (they are either dead or the living ones are toxic). BUT I have my two gorgeous children who are healthy and happy, I have a great job that pays way better than I would ever have expected to have at this stage, I have my health and I look pretty good for my age. I have single/divorced friends and I’m never bored since I am very active physically and mentally. I have a roof over my head and money is not an immediate issue. It’s good to keep a gratitude diary and write in it every day to remind yourself to keep your thoughts on the positive. I think you sound amazing! The life you are living is not easy, and yet you seem to truly have it together. You sound strong and confident. It’s impressive!! Try to enjoy yourself every day.